Forget ‘seize the day’ – Grab the night this F1 weekend & party like a VIP! 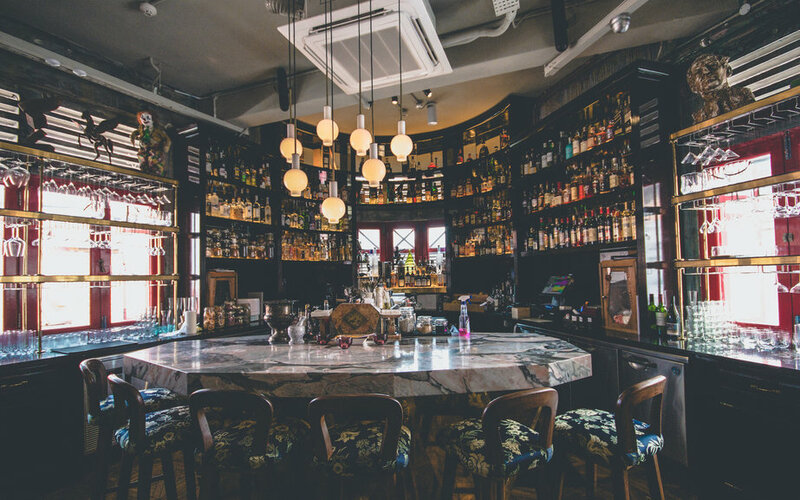 Home to Formula One’s first ever night race back in 2008, Singapore continues to be one of the hottest nightlife destinations on the Grand Prix tour! The weather is fine, the skyline is beautiful, the bars have VIEWS (we mean, seriously…), and the mixologists know what they’re doing. It’s no wonder so many international revellers descend on our streets come Grand Prix weekend. But don’t worry about the crowds – you’ve got a secret weapon to take you from door to door in comfort, with GrabCar! Don’t know the address? No problem! Just enter the name of your location and we’ll do the rest. So whether you’re GrabCar Premium (table service only dear) or GrabCar Economy (we’ve hunted the best free admission parties just for you! ), get out there and Grab the night! By far the most exclusive and celebrity packed event in the F1 Singapore calendar, The Podium Lounge has been hosting Formula 1® drivers, teams, Royalty, celebrities, ambassadors, supermodels and Asia’s jet-setting party elite for 8 years. Kim Kardashian, Gordon Ramsay, Sebastian Vettel and Princess Charlene of Monaco are just a drop in the bucket of the names who have graced the guest list at this party in previous years. Returning to The Ritz-Carlton, Millenia Singapore, this year is set to be glitzier, more adrenalin-fuelled and more studded with stars than ever before. Kicking off on Friday 16 September with Award-Winning British Pop Goddess Sophie Ellis-Bextor and closing with ‘American Boy’ songstress and Grammy Winner Estelle, there will also be a dizzying overhead catwalk for the nightly Fashion Circuit by ZENCHI and VIP balconies offering a magical party experience for up to 3,000 guests per night. General Admission starts at S$188 and VIP Tables from $1488 for 4. For a night rubbing shoulders with stars from around the world at the centre of Grand Prix Season Singapore celebrations, that’s not too shabby… click here to check out the full range of ticket and table packages. Why not book with GrabPremium – our fleet of luxury cars will help you arrive in style! The Podium Lounge – Grand Ballroom, Level 1, The Ritz-Carlton, Millenia Singapore: Friday 16, Saturday 17, Sunday 18 September, from 10pm. Simply type ‘Grab@PodiumLounge’ into your Grab app and we’ll get you there! This hipster haven has got F1 weekend covered with a Grand Prix themed cocktail menu and opening night party. Housed across 4 floors in a restored art deco building, walking into Potato Head Folk will make you feel like you’ve been transported back to the glamorous beginnings of Grand Prix in 1920s Europe. Enjoy hours of funk, soul and disco in their intimate bar on level 3 this Friday; all spun on vinyl, of course! And keep your engines going with their racey cocktail menu, produced especially for this weekend. Our pick of the bunch is the ‘Grid Girls’ – a mix of Appleton 12 Year Old Rum, Cointreau, Pineapple, Passionfruit, Lime & Jalapeno, a snip at only S$16! Simply type ‘Potato Head Folk’ into your Grab app and we’ll get you there! 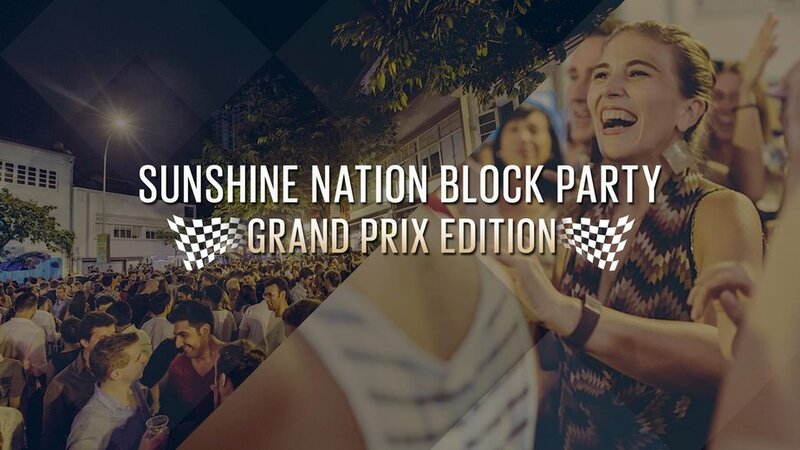 Party on the street at Sunshine Nation Block Party – The Grand Prix Edition! This Friday for one night only, Sunshine Nation is taking over a section of Circular Road for their Grand Prix Edition Block Party. Party on the street to a stellar line-up of house DJs keeping you dancing until 2am, and check out the F&B on offer from the event’s official venues, O Comptoir, MARCO MARCO and GONG. With free admission, you can party all night without even needing to get your wallet out! You will of course need your phone. You know… to get GrabCar to come and take you home when your feet are sore. Street parties are the best for mixing and making new friends… if your party pair becomes a pack, don’t forget about Grab’s 13-seater service to get you to your next destination! Simply type ‘Circular Road’ into your Grab app and we’ll get you there! Space, Sat 17 Sep, 10pm – 4am, free admission for ladies all night, cover for the guys is $35, inclusive of two drinks. Simply type ‘Space Club’ into your Grab app and we’ll get you there! Get a head start on the party action this Saturday at SO Sofitel, where raucous party organisers ‘Eyes To The Front’ take over the pool for an afternoon of beverages, BBQ and DJs. The $20 cover charge includes 2 free drinks if you make it there before 4pm (as if you needed any more encouragement for an early start). So get there early and enjoy sipping your free drinks in semi-weightlessness at your table in the pool. Yes, IN the pool. Simply type ‘Hotel Sofitel So Singapore’ into your Grab app and we’ll get you there! House and techno is on the car-ds (get it?) this weekend at basement club Kyo’s ‘Afterburner’ parties. If you need something a little harder than Kylie Minogue (no judgment! 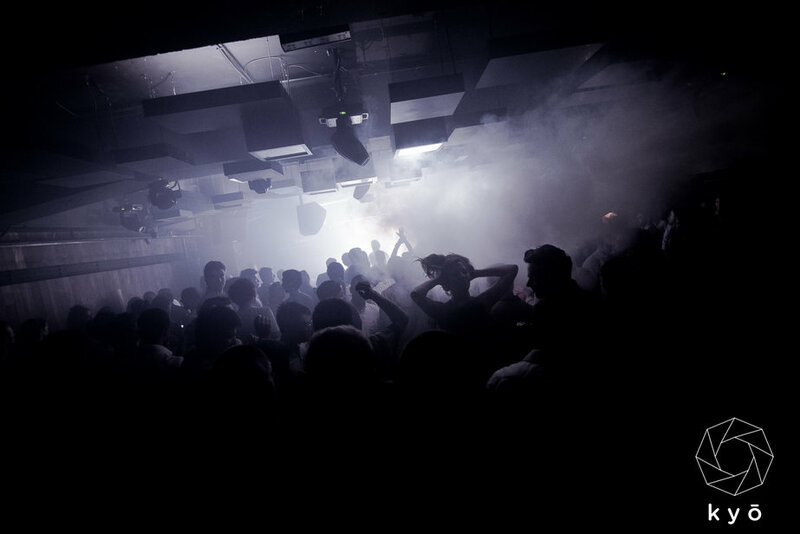 ), then this is the place for you – take yourself underground and hit the dancefloor. 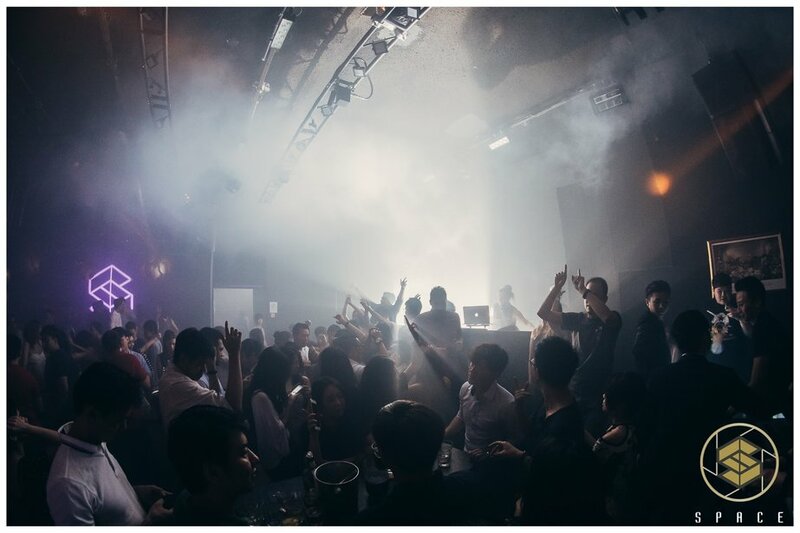 With notorious DJs on the bill from the party scene in Jakarta and French techno Producer Sebastien Leger headlining Saturday night, the music will not disappoint. RSVP ahead of time and get there before midnight to skip the $28 cover charge (RSVP online here) – and also to take advantage of their late night happy hour, when all double shot house pours will be $16nett. Simply type ‘Club Kyo’ into your Grab app and we’ll get you there! Simply type ‘Aura Sky Lounge’ into your Grab app and we’ll get you there! New to GrabCar? Or know someone who is? Save up to $20 on rides this weekend and have more cash to flash at your party! *Valid for use on GrabCar only until end of October 2016.